With negotiations between the so-called P5+1 (the five permanent members of the UN Security Council, plus Germany) and Iran over the fate of its nuclear program set to resume this week, the International Crisis Group (ICG) has released a detailed proposal for a final status settlement. Drawn from months of interviews with Iranian and P5+1 officials, the May 9 report outlines what an agreement splitting the difference between the "red lines" of both sides would look like. For anyone worried about Iran's nuclear intentions, it is a very worrying document indeed. The broad thrust of the proposed settlement is nothing new: Iran agrees to reduce its uranium enrichment capacity such that its "breakout time" — how quickly it could produce the material needed for a nuclear weapon if it made a full-throttled effort to do so — is extended from roughly two months at present to nine months (midpoint of the six-to-twelve month range suggested by Secretary of State John Kerry in congressional testimony last month). Iran also accepts a rigorous inspections regime to make sure it isn't enriching uranium beyond this limit or developing mechanical components for a bomb. In exchange, the economic sanctions that have hobbled Iran's economy are lifted. The problem with letting Iran park its nuclear program so close to the threshold of producing a bomb is that it can simply wait to make the dash until such time as its relations with the coalition of energy-hungry world powers presently forcing its hand have normalized, and their desire for Iranian co-operation in Syria, Gaza, and other Mideast hot spots is at a premium. 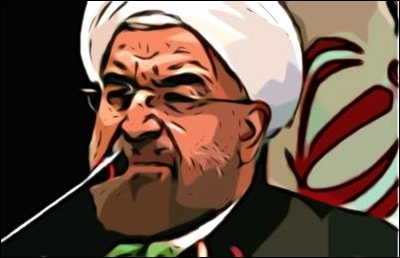 Beyond conceding to Iran the ability to rapidly weaponize its uranium, the internationally legitimized nuclear threshold status soon to be bestowed on the Islamic Republic has immense strategic advantages. Fear of provoking Tehran into crossing this threshold surely will discourage the international community from punishing Iran for sponsoring terrorism, bloody proxy interventions in the region, human rights violations, and other manners of sin. And Iran's retention of sufficient nuclear infrastructure to produce a bomb in nine months will surely intimidate its regional rivals. First, implementation of the agreement and resolution of disputes is to be overseen by a nine-member committee consisting of three P5+1 delegates, three Iranian delegates, and three chosen by mutual consent. In effect, this gives Iran veto power over the very body supervising its implementation of the agreement. Second, Iran will be permitted to ramp up its enrichment capacity back to a level commensurate with a six-month breakout time during the first nine years of the 19-year agreement (the wording is deliberately ambiguous as to when exactly), and subsequently to a level allowing for a three-month breakout time. After 19 years, these restrictions elapse entirely. Third, Iran can continue development of advanced centrifuges up to six times more powerful than the first-generation IR-1 types that comprise the bulk of its 19,000 centrifuges, enabling it to enrich uranium at smaller, harder-to-detect sites. Fourth, Iran is not required to destroy any centrifuges in excess of its quota for the duration of the 19-year agreement, only to move them into International Atomic Energy Agency (IAEA)-monitored storage within its main Natanz enrichment facility. This, the report says, is to "provide Iran with insurance against any failures in the agreement." These centrifuges can simply be reinstalled should Iranian leaders decide to kick out inspectors and make a rush for the bomb, rendering the above breakout-time projections wholly unreliable. Fifth, Iran is not obliged to close its Fordow enrichment plant, a once-secret facility buried deep beneath a mountain to withstand air attacks. Rather, it is required only to remove the centrifuges to Natanz and can still use the subterranean fortress for "research and development." Finally, the report says that a full Iranian accounting of past weaponization projects "might not be possible" due to Iranian sensitivities — notwithstanding the fact that full transparency is "important in being able to quantify the time Iran would need to dash for a nuclear weapon," according to nuclear experts and Western diplomats cited by Reuters, and critical to enabling inspectors to uncover future deceptions. Although Obama administration officials have been relatively guarded about what they're prepared to concede, there are reports of movement in most of these areas. The administration already has dropped its once non-negotiable demand for the closure of Fordow, provided that Iran accept other conditions that "constrain the ability to quickly resume enrichment there" (whatever that means), and has reportedly backed off the demand that Iran completely dismantle excess centrifuges. Robert J. Einhorn of the Brookings Institution, who served from 2009-2013 as then-Secretary of State Hillary Clinton's nonproliferation advisor and continues to consult with current administration officials, has proposed that "the requirement for detailed information about all past activities need not be quite so demanding" if "monitoring arrangements can provide strong confidence in compliance going forward." Be afraid of the looming Iran nuclear deal. Be very afraid.